The Games on Demand version supports English, French, Italian, German, Spanish, Polish, Portuguese, Russian. (Online Interactions Not Rated by the ESRB) What if our greatest heroes became our greatest threat? 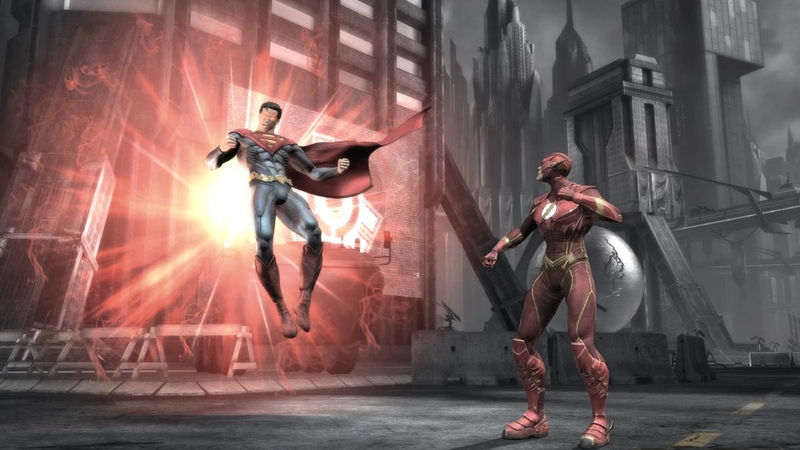 Injustice: Gods Among Us introduces a bold new franchise to the fighting game genre from NetherRealm Studios, creators of Mortal Kombat. 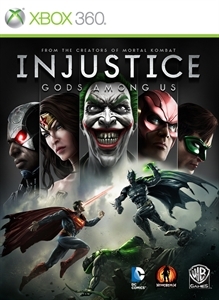 Featuring DC Comics icons such as Batman, The Joker, Green Lantern, The Flash, Superman and Wonder Woman, the latest title from the award-winning studio presents a deep original story. Heroes and villains will engage in epic battles on a massive scale in a world where the line between good and evil has been blurred. 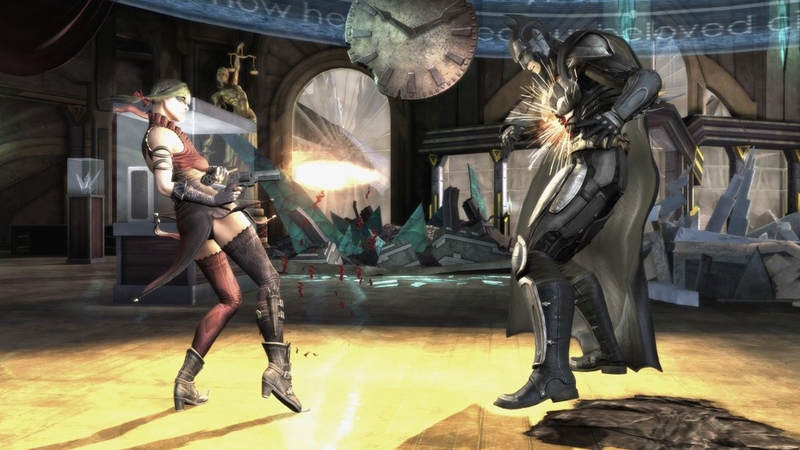 A collection of exciting, custom player costumes from throughout the DC universe. This pack of five skins is also available by playing the Injustice: Gods Among Us mobile game. Become Stephen Amell when you pick up this Green Arrow skin based on the CW’s new hit show Arrow! Look like him, sound like him, and protect your city like him, one enemy at a time. Deliver devastating defeat as General Zod with the Man of Steel Pack, based exclusively on the character in the feature film. *Requires General Zod character DLC. Add to your Injustice: Gods Among Us DLC collection with this Cyborg Superman skin. Please Note: This pack also contains a compatibility update. Now you see your health bar, now you don't. Take down your opponents as the powerful sorceress, Zatanna. Add to your Injustice: Gods Among Us DLC collection with this John Stewart Green Lantern Skin. Please Note: This pack also contains a compatibility update. Train to become the best superhero you can be with 40 all new S.T.A.R. Labs missions featuring Lobo, Batgirl, Scorpion, and General Zod! Please note these missions are already included for season pass holders. Season Pass holders will need to redownload the Season Pass in order to obtain the S.T.A.R. Lab Missions for free. Turn every character in the game into the undead with Zombie Mode! Join the new era of comics with the DC Comics New 52s Pack featuring exclusive skins for Batman, Superman and Wonder Woman. 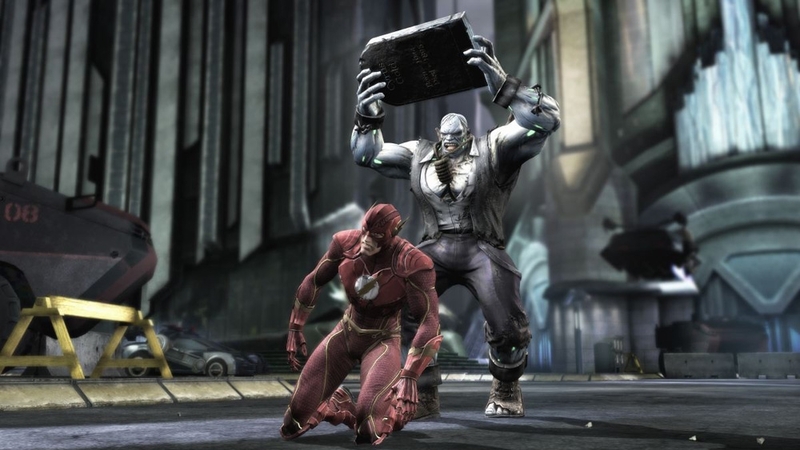 Add Solomon Grundy, The Flash, and Hawkgirl to your Injustice: Gods Among Us DLC collection with this Earth 2 Pack. Defeat your enemies as the Man of Steel himself, based exclusively on the character in the feature film. With Blackest Night Pack 2, play as the Batman, Aquaman, and Hawkgirl with this new skin pack based on the Blackest Night storyline written by the incomparable Geoff Johns. Add to your Injustice: Gods Among Us DLC collection with this Classic Ares Skin. Please Note: This pack also contains a compatibility update. Download General Zod, one of Superman's greatest enemies, for your Injustice: Gods Among Us DLC collection. Defeat your enemies as the sinfully twisted Joker, sly and stealthy Catwoman, or everyone’s favorite caped crusader Batman with the Batman: Arkham City Skin Pack based on the legendary series from Rocksteady Studios. With Blackest Night Pack 1, play as the Superman, Doomsday, and The Flash with this new skin pack based on the Blackest Night storyline written by the incomparable Geoff Johns. Download Scorpion, one of Mortal Kombat's most klassic characters, for your Injustice: Gods Among Us DLC collection. Add to your Injustice: Gods Among Us DLC collection with this Containment Suit Doomsday Skin. Please Note: This pack also contains a compatibility update. Download Red Son Skin Pack #2 featuring Batman, Green Lantern, and Deathstroke for your Injustice: Gods Among Us DLC collection. Add Tourist Joker, Red Hood Joker, and Final Confrontation Joker to your Injustice: Gods Among Us DLC collection with this Killing Joke Pack. 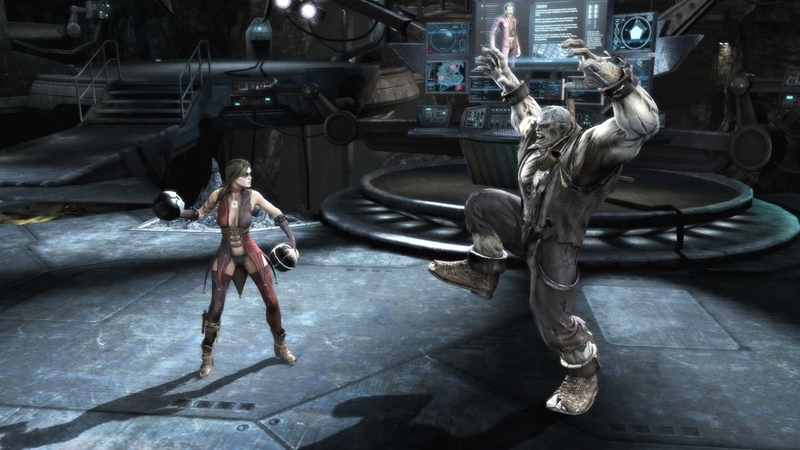 Download Batgirl and add to your Injustice: Gods Among Us DLC collection. Imagine how life in Metropolis would have been if Superman was raised in the Soviet Union --Download the Red Son Pack and receive custom skins for Superman, Wonder Woman and Solomon Grundy and 20 additional S.T.A.R. Lab Challenge Missions all within the Red Son Universe. Add to your Injustice: Gods Among Us DLC collection with this Lucidore Bane Skin. Please Note: This pack also contains a compatibility update. 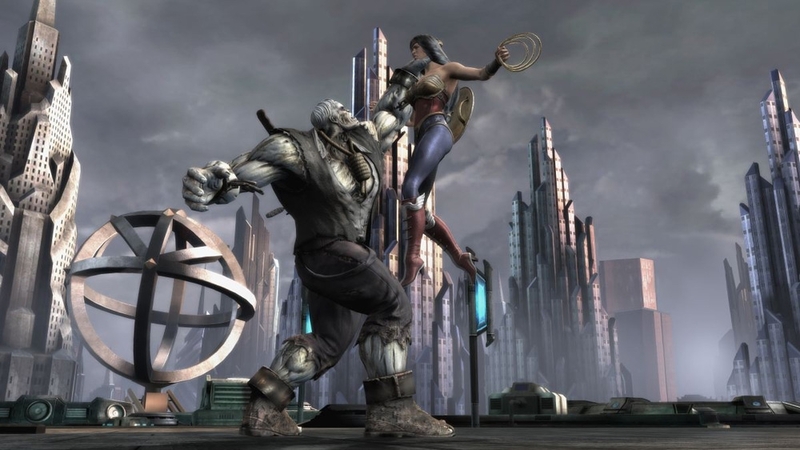 Add the mighty mercenary and bounty hunter Lobo to your Injustice: Gods Among Us DLC collection. Please Note: This pack also contains a compatibility update. Download the Bad Girls Skin Pack featuring Wonder Woman, Catwoman, and Harley Quinn for your Injustice: Gods Among Us DLC collection. Add Cyborg, Deathstroke, and Raven to your Injustice: Gods Among Us DLC collection with this Teen Titans Skin Pack. Please Note: This pack also contains a compatibility update. Add to your Injustice: Gods Among Us DLC collection with this Flashpoint Batman Skin. Please Note: This pack also contains a compatibility update. With the Flashpoint Skin Pack, gain access to skins for Aquaman, Wonder Woman, and Deathstroke from this alternate DC universe.